The Snowcone Pin is located at the Coffee Shop, but it is a bit of a challenge to obtain it! You need to throw a few snowballs into the top of the machine (circled in the picture below), and then wait a bit as a reaction takes place. After a few seconds, the pin will come out and you simply need to click it to be able to obtain it! You can also obtain the Circus Tent Pin in the booth at the Forest, but I’ll give more details on that soon! Head over to the Ski Village and click the camera on the bottom right! You will be able to obtain the “Step Right Up” background for doing so! This is the only free item in this party. Tickets can be earnt in mini-games to achieve prizes! There are two stand locations, the Forest and the Great Puffle Circus. 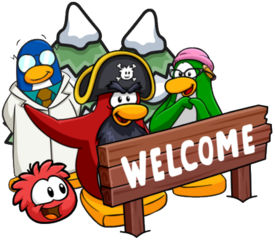 Available are items, igloos, pins and backgrounds! These are the current prizes for this party. They were updated on October 4th. To earn tickets, you need to play mini-games, but sometimes there might be a bug from preventing you from claiming these tickets. To solve this, simply click the X at the top right rather than the “Done” button! Also, be aware that tickets reset after logging off! Instructions: Find matching pairs in the fewest number of tries to earn the most tickets! Instructions: When the hammer is in the centre, click your mouse and hold it until it is as green as it can get! Instructions: Puffles will float around under a hat, and you need to watch which one moves underneath which hat! Instructions: Use the fan to blow your puffle’s balloon into the targets, so that the targets hit the cactus! Instructions: Use the space bar to shoot water, making sure you hit the puffles and not the penguins. Also use the down button to duck when objects are thrown at you! Instructions: The famous Puffle Paddle! 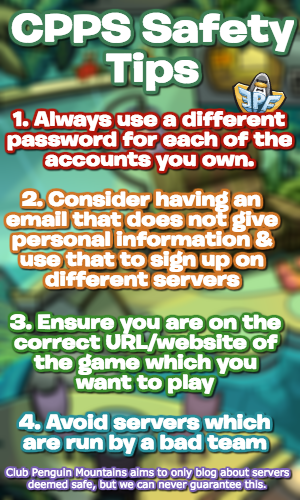 Use your paddle to make sure that your puffle does not fall, but be aware that it gets more tricky as you will have to balance puffles simultaneously to get the most tickets! Instructions: Try and blast O’Berries into as many puffle’s mouthes as possible, but be aware that it will get harder as the game goes along! The only new room for this party is the Great Puffle Circus, accessible from the Forest! In this room, you’re able to pick a puffle, who each does a different act. Some are humorous and others look cool, but you should definitely check it out before it’s gone for at least another year! Although this is the only room exclusive to this party, there are some amazing designs for multiple rooms across the island! The Pizza Parlour and the Coffee Shop are my personal favourites, but the outdoor soundtrack is nostalgic and incredible too!